In March, students all over the country participated in a walkout demanding gun control and their right to safety. But they didn’t stop there. Today, students are taking to the streets for the second time in two months and demanding their voices be heard. These national marches are happening in response to February’s mass shooting at Marjory Stoneman Douglas High School in Parkland, Florida. Ironically, yet another school shooting in Ocala’s Forest High School occurred right before today’s demonstrations. Stoneman Douglas freshman Ryan Servaites had this to say about today’s shooting in which a student was reportedly shot in the ankle. “The fact that it happened on this day, in a way, reinforces what we are trying to get across,” he said. But today’s national walkout also aligns with the anniversary of the 1999 Columbine High School massacre in Colorado in which two gunmen killed 12 students and a teacher. Also, this time around we see some major differences regarding the walkout demonstrations; it’s longer. The first walkout following the Parkland shooting took place for 17 minutes to mark the 17 lives lost. After that, many students returned to class. But today’s walkout lasted until the end of the school day. “This is a problem that needs to be addressed longer than 17 minutes,” student organizer Lane Murdock, 16, told to ABC News. So what exactly are the demands of this youth-led fight for common sense gun reform? Bump stock bans and universal background checks are a good start. ABC reports that these student-activists also want the event to empower students across the country and increase the turnout of young voters at the November midterm elections. 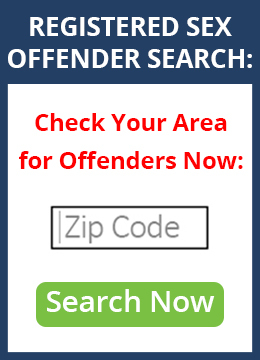 Click here to ensure your neighborhood is safe for your children. ← What Is National Love Our Children Day?